The sweet potato is a nearly-perfect food, don’t you think? It’s inexpensive, packed with nutrients, beautiful in color, easy to make, and has a marvelous flavor and texture. 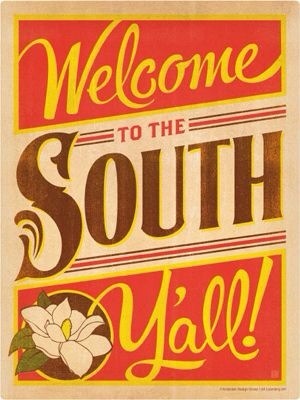 It grows well in the South, so we have plenty of them readily available nearly year-round. I wanted to share a tip and a few recipes with you, because we all need to get out of the mindset that sweet potatoes are only good when loaded with butter, sugar, and marshmallows, though that certainly is a Thanksgiving tradition in my family. 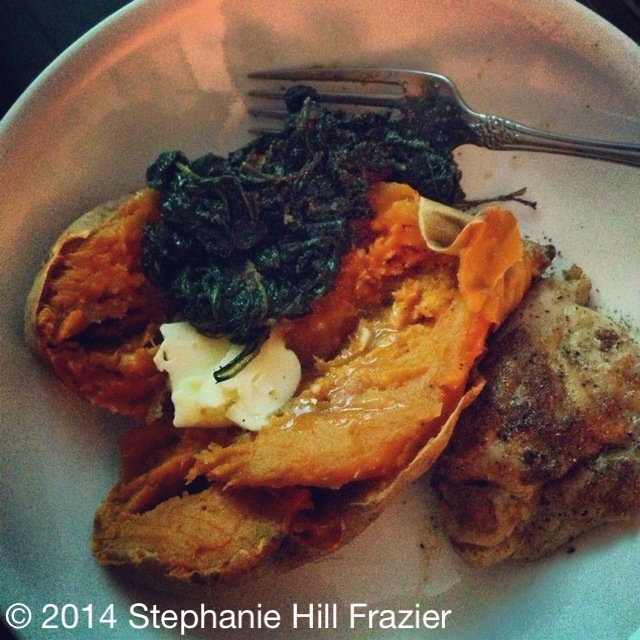 But aside from that meal, I love to use sweet potatoes in other ways. My tip for you is that sweet potatoes are easily baked in the microwave. Simply wrap the washed, whole potato in plastic wrap, nice and tight. No need to poke holes. Stick it into the microwave and bake for 7 minutes. When time is up, use a kitchen towel to give the potato a squeeze to make sure it’s nice and soft. If not, bake for two more minutes, check again, and so on. When the potato is soft, carefully unwrap, and split down the middle and eat as a side or however you would like. Tonight I had mine alongside a chicken thigh and baby kale sautéed with a little bacon and balsamic vinegar. It was so good! 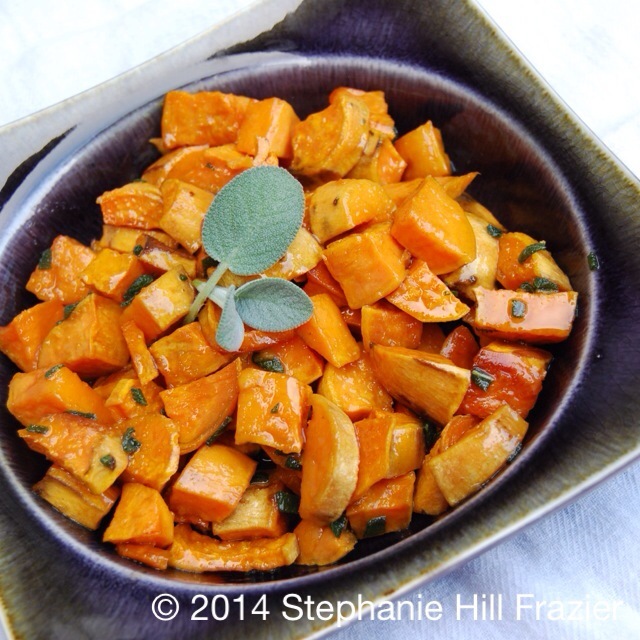 Another way I love to prepare these wonderful tubers is cubed and roasted, then tossed with sage, in this recipe: Roasted sweet potatoes with brown butter-sage sauce. 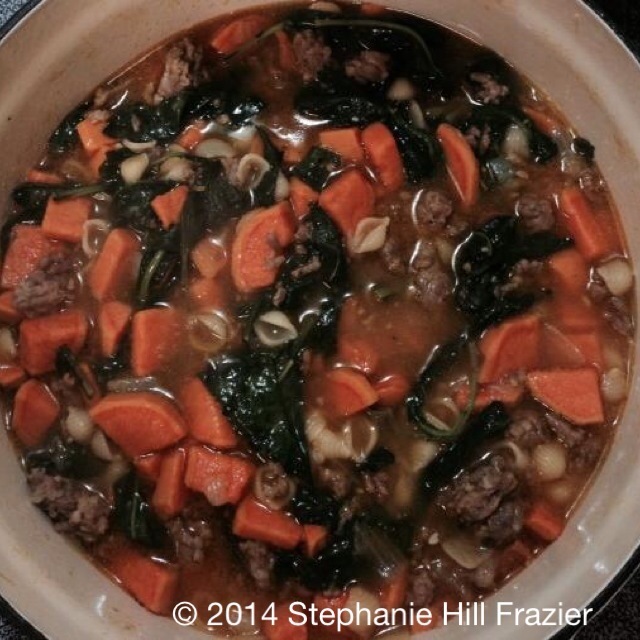 And here are sweet potato bars and an AMAZING sweet potato-kale soup with sausage. You won’t believe how good it is, y’all. Seriously. “Slap yo mama good,” as my dad would say. 😉 Please make it! Of course, sweet potato pie is so good, too; my sister makes the best I’ve ever had. Tip: She beats egg whites until they’re frothy and then adds them to the pie batter…it makes it so light and so fabulous that my sons each get their own whole pie from her at Thanksgiving. It’s that good. I don’t have her recipe, as it’s her specialty. I’m ok with that! I hope you enjoy these ideas for using sweet potatoes in more ways than just in gooey casserole on Thanksgiving. What is your favorite way to enjoy them? I love savory sweet potatoes and I’m actually not a fan of them with sugar, marshmallows, etc. Thanks for these recipes!